The first time I heard about cucumber and yogurt in one sentence it was from a friend desperately trying to loose weight, which I dismissed unceremoniously because in my mind anything touted as a weight loss meal is usually unappetising or something you are forced to eat because you want to lose those pesky kilograms you put on during festivals.Suffice it to say I never tried putting the two toghether..untill I tasted the Greek Tzatziki dip. But but but..The first time I had authentic tzatziki was in Athens, which seems ages ago now,sigh.Well, that was a different experience altogether.I remember landing in Athens,dumping our luggage in our shared hostel and heading out to get some Greek Coffee from this idyllic road side cafe,amidst pink Bougainville flowers, un apologetically stuffing my face with giant gyros topped with heapfulls of tzatziki and catching up with my friends ,who we were seeing after almost a year. 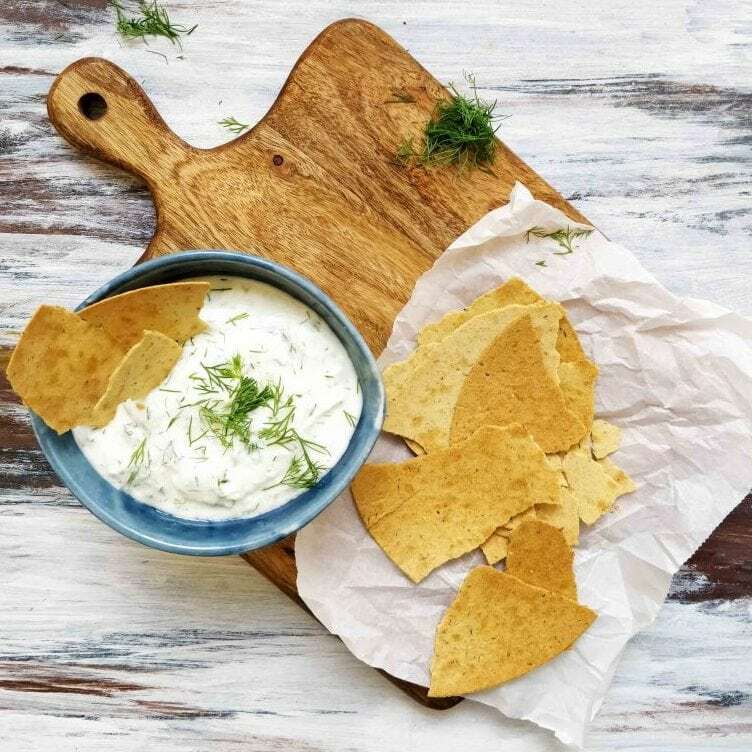 It’s very easy to make this dip.Tzatziki is the poor dumb and dumber’s dip.Really.Even they couldn’t go wrong with it.Grate cucumber and put in yogurt and done! Well that’s the basic.After that you can go all out gourmet and dress it with different herbs.Usually though it is served with Dill(Fennel). If you like this recipe you should also see my Yogurt Dip post.I make a version of this dip almost every party. The easiest variations can be made by changing the herbs.You can use mint or parsley instead of dill for an interesting change.You can make a spicy version of this sauce by adding some paprika in it. For Tzatziki Salad Dressing,thin down the sauce with water to get a drizzleable sauce. Usually,in Greece, Tzatziki is served with gyros which is a wrap made with rotisserie meat, fries and a giant dollop of the Greek Tzatziki dip wrapped in a flatbread like pita with veggies.I usually serve Tzatziki with anything and everything.It’s great with carrot sticks,breads, crackers, nachos, fries,drizzled over wings.In the picture I have served it with Bajra(Pearl Millet) Khakra. Tzatkiki tastes best cold so remember to use either cold yogurt while making it or refrigerate it for a couple of hours before serving. Any leftover Tzaziki is used in making Ragi dosas or masala parathas. Whip the yogurt so that its thick and creamy. Serve it with some Crackers & Enjoy.